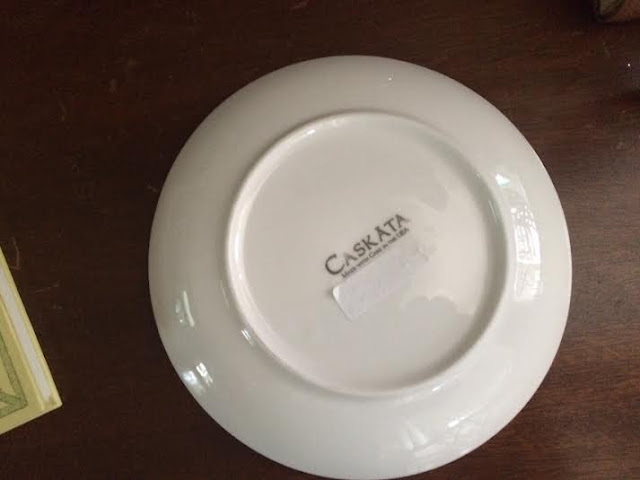 I am loving the Caskata dish I purchased at Watson Kennedy in Seattle. The dish features several gold-colored acorns, the French symbol for prosperity and perfect for the Uptown Acorn. I love small plates like this as containers for curiosities as well as a place to display candles. The zinc letters were found in Portland at Porch Light. I am having fun displaying my travel finds. 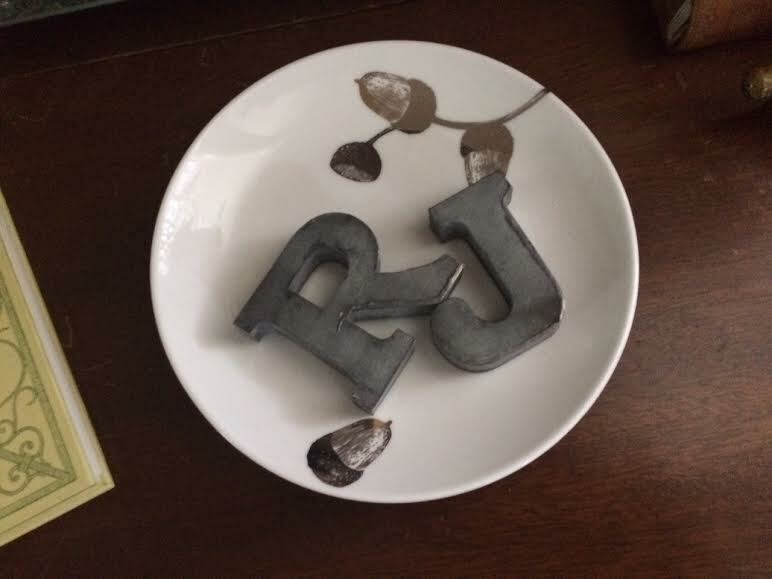 I really love this dish and the letters. Great items to remind you of your trip also. The dish is perfect for you and love the letters. 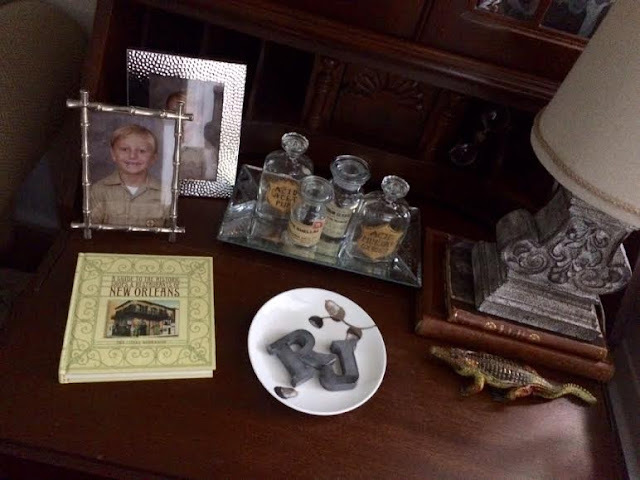 Glad you have great treasures to remind you of your trip. Happy Summer. 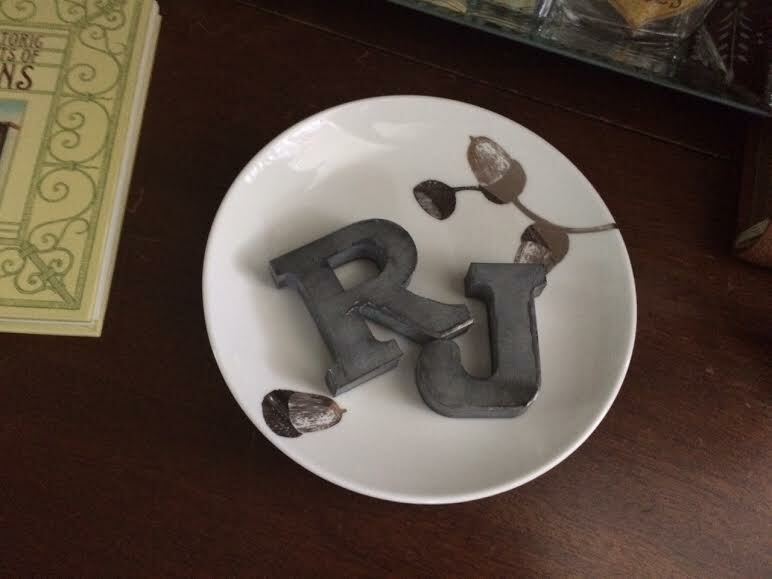 A perfect dish for your home!....love the letters too! I never knew that acorns were the symbol for prosperity in France! I learned something new today. That dish definitely has your name all over it! I like how you displayed yours and J's initials in it.